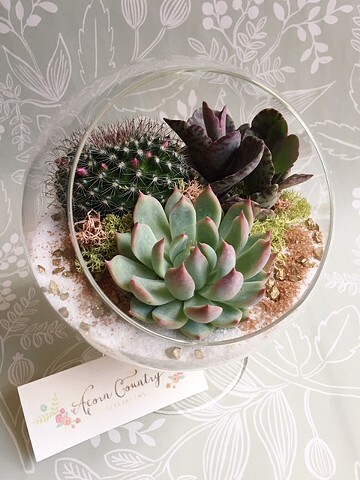 All terrariums are original pieces made by Aubree Hibbe and sold locally in the Miami area. Due to their unique appearance and easy care, these items are the perfect decorative statement piece or thoughtful gift. REPLANTING SERVICE AVAILABLE FOR DISCOUNTED PRICE. Please contact us for information on custom orders and delivery fees.